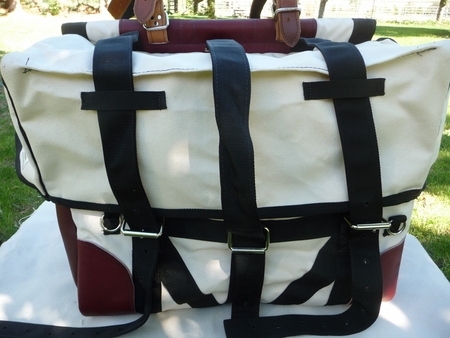 The traditional Canvas Pannier with full Leather Ends are made of #4 - 18 oz. Canvas with 9/10 oz. latigo leather ends & contoured lids. 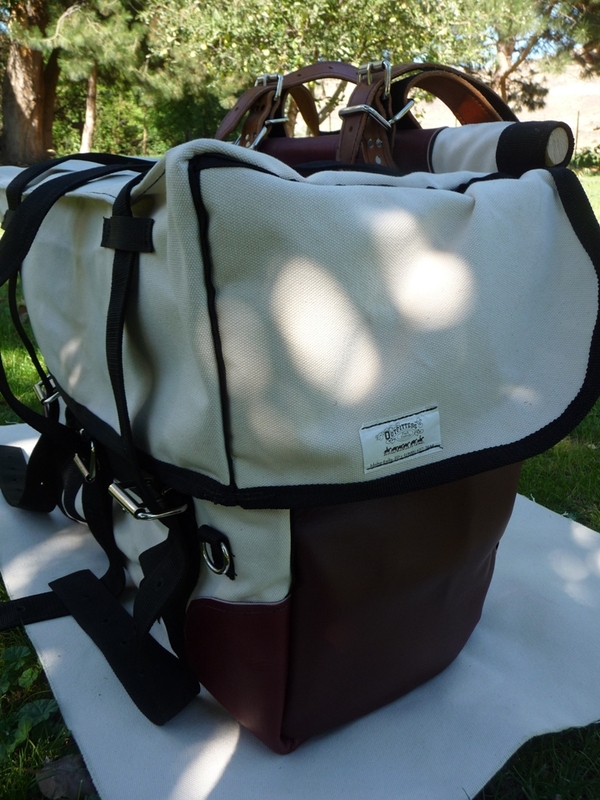 The Panniers will hold our pannier liners. Sold in a set of two.